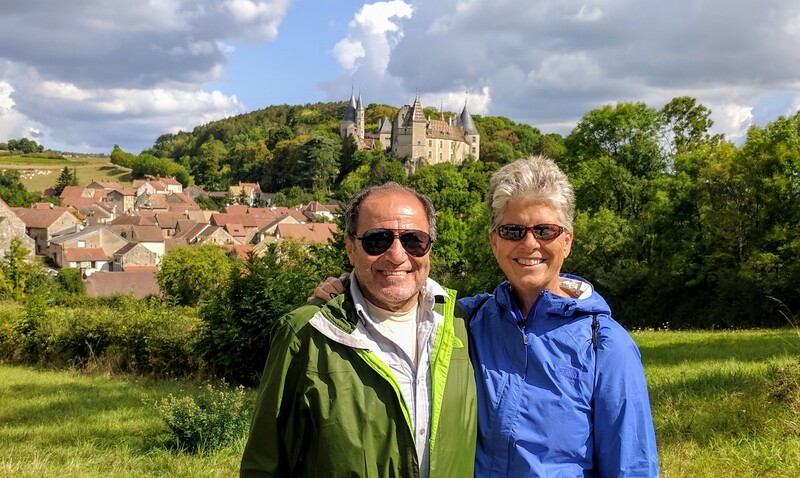 Although we are madly in love with the city of Porto, had we known about the historic and charming city of Braga, we may have instead planted ourselves there. Just about an hour or so north of Porto, the City of Braga made for the perfect day trip. We had two must see stops in mind that were the reason for our visit, but the city surprised us with so much more. Beautiful flower-lined pedestrian promenades, fountains, an historic city center and so many trees! 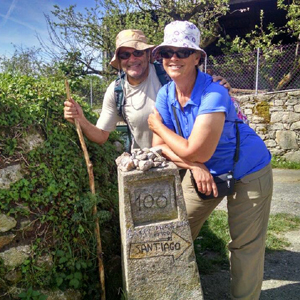 Oh, and it was relatively flat in comparison to the hills of Porto, which make for great exercise but are exhausting. 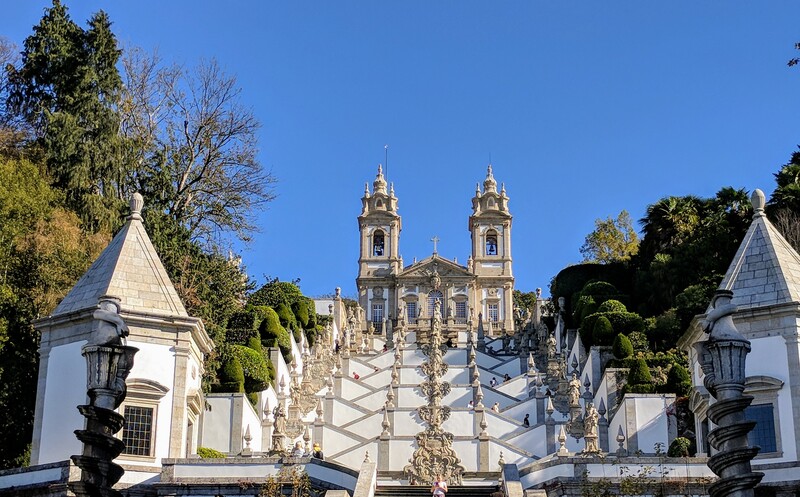 The first of our two must see stops was the Bom Jesus Church, which sits on a hilltop and offers panoramic views of Braga and the surrounding valleys. The weather held for us. The sky was clear and blue, and the sun provided just enough warmth as we stood to take it all in. 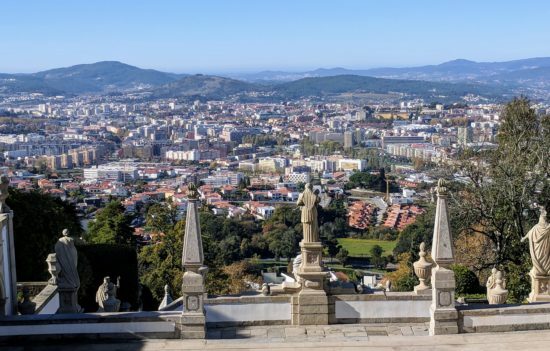 Overlooking the City of Braga from atop the hill at Bom Jesus Church. It is the stairs of the Bom Jesus Church that beckon people to visit. The church and the surrounding gardens are lovely and provide quite the respite for peace and quiet. But, it is in fact the stairs which promenade down the hill that brings visitors from near and far. Abi has a habit of counting stairs but we were so taken in by the experience he lost count. Let’s just say the number of stairs is somewhere between one and a gazillion. See for yourself. The stairs at Bom Jesus Church. Like nothing we’ve ever seen. No, we did not walk up the stairs, but we did walk down each and every one as they switchbacked down the hillside. If you look at the photo above, in the center line of the stairs, you can see there is a porch (landing) at each junction of the stairs crossing where there are fountains and statues depicting a story. You can read more about the stairs here. The second of our two must see stops in Braga was the cathedral. 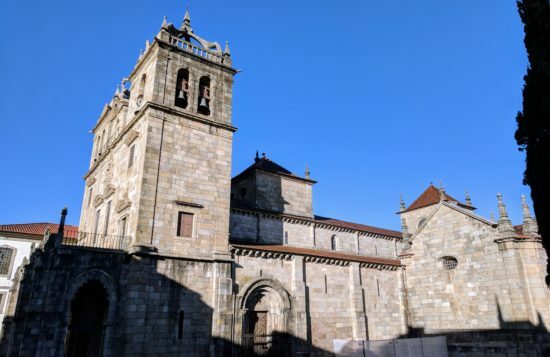 Dating back to the 12th century, the Braga Cathedral is the oldest diocese in Portugal. It is considered to be the crowning glory of Braga and it’s not difficult to see why, once one steps inside. I often wonder why we never seem to tire of visiting chapels, churches and cathedrals, but each one we encounter seems to speak to us. Come see me! And, each and every time, without fail, I enter one of these majestic cathedrals my inner philosophical dialogue rages on. I think it’s part of why I (we) continue to be so fascinated, along with the architecture, the art, the music, the solace, and the historical aspect. Not overly impressive from the outside, the Braga Cathedral, but once inside it’s a different story. While spending time in Malaga my friend said to me, “I just can’t see another cathedral.” I get it. I so get it, but yet I keep going back for more and the cathedral in Braga did not disappoint. Although, I think it can be said that it isn’t so much about the cathedral, but rather it is all about the pipe organs. At least for me since I am obsessed with pipe organs – and pulpits. You should see the number of photos of pipe organs and pulpits we’ve taken as we traversed Europe these past months. Here’s the thing about travel, at least from our perspective. There are wonders to behold in this world that we can’t even begin to imagine, and all too often we are seemingly clueless as to what lies ahead. Let’s go see the cathedral is something we say without even putting much thought in to it. It’s become part of our travel vocabulary. But then we walk in to the next new place and we’re utterly taken aback because the unknown has surprised us yet again. And, that’s exactly what happened in the Cathedral of Braga. Trying to capture the grandeur and details of the twin organs was nearly impossible, so you’ll just have to trust me when I tell you they were magnificent. My sense of spatial balance is completely wonky, which is why (I believe) I have a wicked fear of heights and why I get dizzy in places that seemingly overwhelm my sense of balance, so… I had to pass on taking a tour of the upper choir chamber, but Abi went. He was fortunate in that he was the only person on the brief tour and he was able to get up close to the keyboards of the organs. Color me jealous. He learned too that although the pipes look to be twins, one side actually has more pipes than the other. The location of the upper choir loft (just above the bottom arch) can be seen in this photo. I’ve always said those who play pipe organs have zero fear of heights. I envy them. 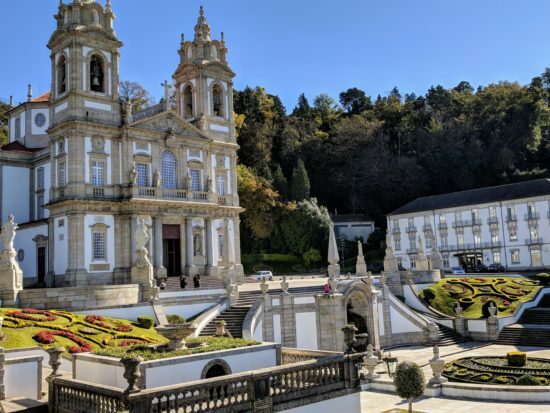 In the end, our two must see stops proved to be so much more than what we were expecting, as did the City of Braga itself. A delicious lunch and a stroll along the pedestrian shopping promenades topped off our day. So, hey, Braga, well-done. You surprised us! There are multiple trains each day from the Sao Bento station in Porto. Two tickets, round trip, was 14€. 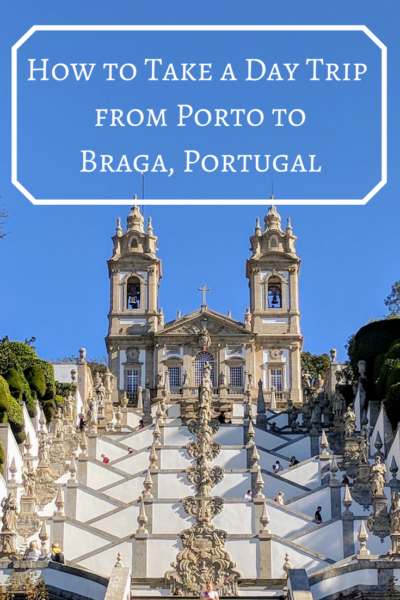 We took a taxi from the Braga train station to the Bom Jesus Church – top of the hill. The cost of the taxi was 7€. Be sure to ask for a phone number if you want to return, to the city, by taxi because you’ll have to call. There is a bus (#2) that runs between the city center and the funicular platform, at the bottom of the hill, at the Bom Jesus Church. Two one-way tickets was 3,30€. Entrance tickets to the cathedral, the cloister, the chapel were 4€ total. There is an additional ticket to tour the upper choir, which was 2€ per person. Twine Wine & Tapas, in the historic center, offers a pre-fixe lunch menu for 7€ and the food was delicious. I can see why you loved Braga, we only had a short couple of hours there but it was enough to get a feel for how great the city was. I wish we’d seen that church, it’s like no other I’ve ever come across! Any more day trips planned? 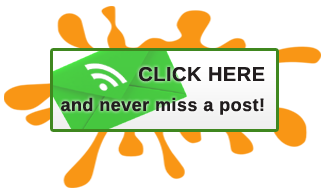 Amy recently posted…The Airbnb Ban issue, is it a responsible way to travel? When you return to Portugal, you’ll be able to visit Braga again and spend a couple of days. 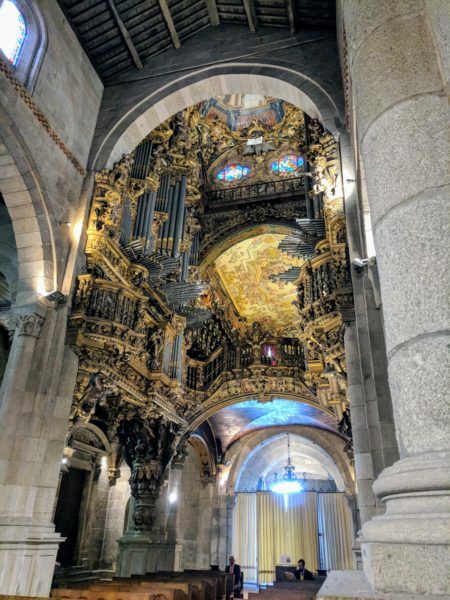 That organ is magnificent, and your photo shows a lot of detail. Nice day trip! It really was, Suzanne. I’m compiling a collection of pipe organ photos that will become a photo essay. 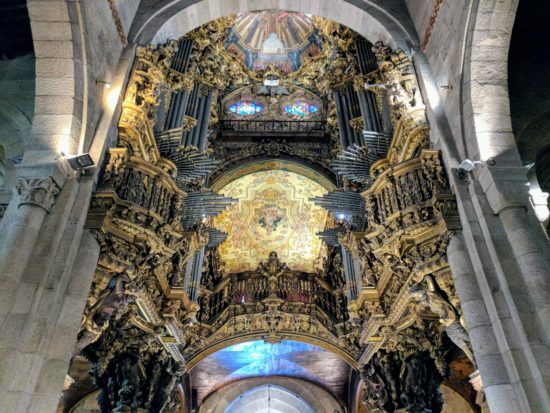 I’d be more likely to say “oh boy, another canyon.” Yet I am entranced by the architecture and that pipe organ has more tubes than any organ pipe cactus I’ve ever seen. A great day trip. Canyons are extraordinary, and I suppose it can be a similar experience to stand in awe! Fantastic! I’ve also wondered why chapels, churches and Cathedrals also seem to draw us to them like a magnet even though we have no ties to any religion. In many small towns and villages they contain the best of the architecture and art in addition to the heart and history of a community. Every time I see one open, I have to stop and step inside and take a moment to appreciate the hush of a well-loved sanctuary. 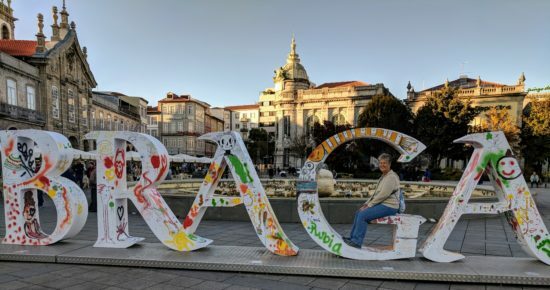 Thank you for this lovely introduction to Braga and your wonderful photos. We’re hoping to head north on a road trip in a few weeks and I’ll be adding this to my ever growing list. P.S. I love pipe organs too and “the twins” are magnificent!